Which Is The Best Farrier Driving Hammer On The Market? A good driving hammer is an essential part of a farrier’s tool arsenal. A driving hammer looks a bit like a claw hammer for DIY, but it is used for very different purposes than hammering nails into walls! Well, it used for hammering nails into walls, but the hoof kind rather than the house kind. A driving hammer has a flat face for hammering in the nails that hold the shoe on, and a claw side for removing the old nails when taking shoes off. 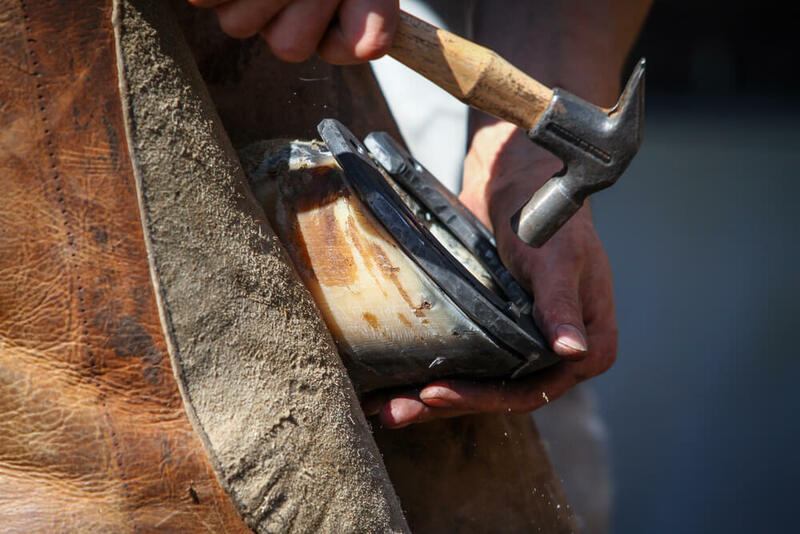 Finding the best farrier driving hammer can be tricky, so we have taken out the hard work and looked up three of the best, so you don’t have to! Anvil are a well known and trusted brand for farriers around the globe, so you know that you are buying a high quality product that is designed perfectly for the job it’s meant for. This hammer is precision made using alloy 4150 metal, meaning that it is strong and well made and should last. A good quality handle to go with a good quality head – Having a decent handle is a must with a tool like this, as it needs to be well attached so the hammer doesn’t fly off as well as balanced and comfortable to hold. This one ticks all those boxes! Serrated head for griping nails – Having a completely flat, smooth hammering surface means the blow can sometimes slip. Serrations on the head will grip the nail with each stroke and prevent you having to hit and miss over and over. A good price for the quality – Most good products that actually do the job can set you back a pretty penny, but this one has a relatively small price tag despite being really good at its job. A lightweight hammer for smaller jobs – For those times when you don’t need a whole lot of hammering force, say softer or smaller hooves, this hammer is ideal. It may be on the small side for some – For people who like a hefty hammer, or who are shoeing very hard footed horses, this hammer may not be quite up to the job. When a trusted, well loved brand brings out a new tool, it automatically makes you sit up and take notice. You could do a lot worse than taking notice of this little hammer! Don’t let the size fool you, it packs a real punch. 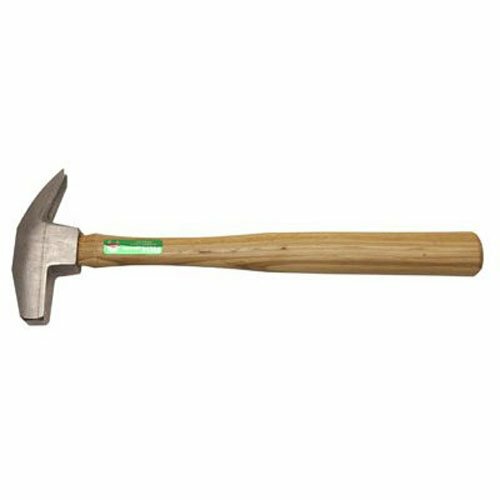 This is a well made, hard working hammer that is great for hammering nails into just about any hoof you want to use it for! It is a bit of a weighty one, but very well balanced. 14 oz of weight means it is a strong hammer – When hammering nails into horse’s feet, you want something with a bit of weight behind it. This one has just that! It is also suitable for smaller jobs. Quality hardwood handle – The handle should be taken into account almost as much as the head – after all, the job would be much harder if you had just the head with no handle! This hammer’s hardwood handle is not only strong and functional but also nice to look at and comfortable to hold. Designed by farriers, for farriers – There is nothing nicer than using a tool specifically designed for its job, unless it is using that tool when it has been designed by people who use it on a daily basis and know exactly how it should work. Well balanced – This takes some of the hard work out of your job, because the tool is a good weight at the same time as being designed so it is comfortable to use and not too heavy in the wrong places. It is a heavy hammer that may be too much for some – For those who like a lighter hammer or are dealing with small, soft hooves, this may not be the best farrier driving hammer for you. A weightier hammer than some others on the market, this one will increase your swing strength, thus making the job quicker and easier – and saving you time and money too. What more could you want? This is another heavy hammer, made by a trusted US company. It is very well made, using only the finest materials for both head and handle. Octagon shaped face – This not only adds to this hammer’s aesthetic, but adds a lot of strength to the striking face. Strong claw designed for pulling and twisting – When you have a stubborn nail that just won’t pull out, you need an even more stubborn claw to persuade it. This claw certainly will deliver! Slim handle for smoothness – The ability to make small strokes is necessary; you don’t want the full weight ALL the time. Having a slim handle allows precision. 14 oz is quite heavy – Not everyone likes a heavy hammer, so bear in mind that this one is quite meaty – although this is offset a bit by the light handle. 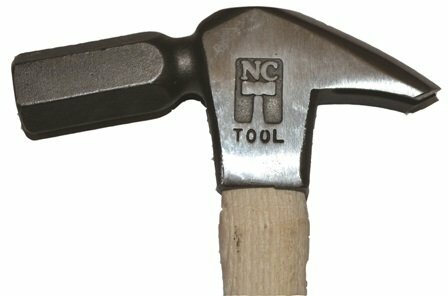 NC have provided a great, highly functional hammer that does exactly what it’s meant to. This versatile hammer should last you many years, and many shoeings! It is pricier than some, but you pay for quality so think of it as an investment. When you’re doing a professional job, you need professional tools to support you. A good driving hammer is just as important as the nippers, rasp and rounding hammer for a farrier, so you should take a bit of time and find the best farrier driving hammer that suits you perfectly.